I’m all for crazy baseball things—thus why I love position players pitching and balks—so when the Arizona Diamondbacks decided to bring back the bullpen cart for this season, I was over the moon. The Cleveland Indians were credited as the first team to provide transportation for relief pitchers, using a little red wagon. The concept of pitchers riding into the mound appeared in 1951 when Chicago White Sox reliever Marv Rotblatt became the first pitcher to ride into a game in a car. Apparently management introduced the car “to make relief pitchers happier.” So it makes me wonder what they weren’t happy about prior. The fact that they had to run into the game from the bullpen? Or were they just lazy? Four years later, the White Sox stopped using the car because fans were throwing debris at it, but you’d think with Bill Veeck as the team’s owner, who previously owned the Philadelphia Phillies, Cleveland Indians, and St. Louis Browns and was known for his antics, he would have been on-board with a bullpen cart. The Kansas City Athletics—now the Oakland A’s—began to use a bullpen car, and by 1965, many teams were using golf carts to bring in relief pitchers. Of course, something crazy had to happen: in the late 1960s, the Los Angeles Dodgers bullpen cart’s driver was missing, so backup catcher Tom Haller drove pitcher Jim Brewer to the mound, dropped him off, and then ran into him. As the years went on, it seems some of the teams embraced the bullpen cart while some players wanted nothing to do with them. In 1959, the Milwaukee Brewers introduced a bullpen motorcycle, a Harley Davidson equipped with a sidecar for the pitcher to sit in. 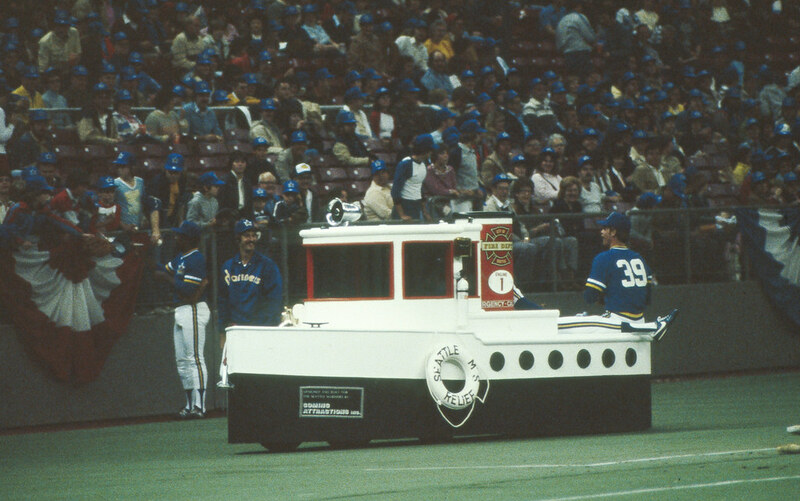 The Seattle Mariners, in 1982, had a nautically-themed bullpen cart called the Tugboat. In the 1970s when Mark “The Bird” Fidrych played for the Detroit Tigers and the designated hitter and free agency were born, Major League Baseball saw a complete jump in design evolution when it came to the bullpen carts. The New York Mets were the first to showcase a baseball-themed bullpen cart—which I mean makes sense. It was a cart with a Mets hat as its hood, held up in the front by two baseball bats, and the front was painted to look like a baseball. The Kansas City Royals, Boston Red Sox, Los Angeles Dodgers, Baltimore Orioles, and Houston Astros adapted similar bullpen carts. The OnTrac Bullpen Cart is available to transport relief pitchers from both bullpens at Chase Field to the mound, and the cart was created to honor the team’s 20th anniversary. So far this season, only four pitchers have used the cart—all pitchers of the opposing team. What’s the point of having the cart if the Diamondbacks pitchers don’t even use it? During the Nationals four game series against the D-Backs, they used the bullpen cart six times. Six. And the Diamondbacks haven’t used it even once and it’s their own bullpen cart. Doolittle used the cart three times, Ryan Madson used it twice, and Brandon Kintzler used it once. I guess the bullpen cart brings some good mojo since the Nationals got four wins and six bullpen cart rides. What’s the proper etiquette for riding in the cart? Collin rode on the back of it, while Doolittle jumped in the passenger seat with the driver. Does it matter where one sits? How do you get chosen to drive the cart? Is it a specific position within the organization, or does whoever is available at the time and has a clean driving record get to do it? Is there any training on driving the cart? What if there’s some mechanical breakdown halfway from the bullpen to the mound? Does AAA cover bullpen carts? Do you have to tip the driver? Because I doubt relief pitchers are carrying their wallets around with them during the games. Is the pitcher allowed to rate the bullpen cart driver? Is there an exit survey provided, or is it more like an Uber thing where you give a star rating? Do you have to wear a seat belt? Safety first, right? You don’t want the pitcher to fall out if the cart is taking a tight turn. I hope that more pitchers take advantage of the bullpen cart at Chase Field, and I also hope other teams start using them. Not only are they a total #ThrowBackThursday but think of the advertising space on that thing. Someone in a Major League Baseball marketing department has to jump on this one.